Lenovo today launched its Lenovo N23, N24 and ThinkPad 11e laptops with Windows 10 and Google ChromeOS. The latest laptop lineup is targeted towards students. According to the company, the new laptops will give students and teachers maximum flexibility and choice to integrate new notebooks into their existing classroom environments. Featuring the latest generation Intel processors and brighter displays, ThinkPad 11e, and 11e Yoga will be available with Windows 10 or Google Chrome operating systems, giving students and teachers maximum flexibility and choice to integrate new notebooks into their existing classroom environments. Engineered for education, ThinkPad 11e and ThinkPad 11e Chromebooks are focused on reliability and productivity, both in and out of the classroom. Passing a vigorous series of 12 military standard spec procedures to ensure maximum durability, using gorilla-glass for maximum screen protection, a water-resistant keyboard and new and improved mechanically anchored keys, the ThinkPad 11e Chromebook can keep up with the demands of a hectic classroom. And with up to 10 hours’ battery life, it can last the school day and beyond to keep a student’s productivity going. Lenovo is also expanding it’s rugged, designed for education, N-series family with the addition of the Lenovo N23 Chromebook and N23 Yoga Chromebook. 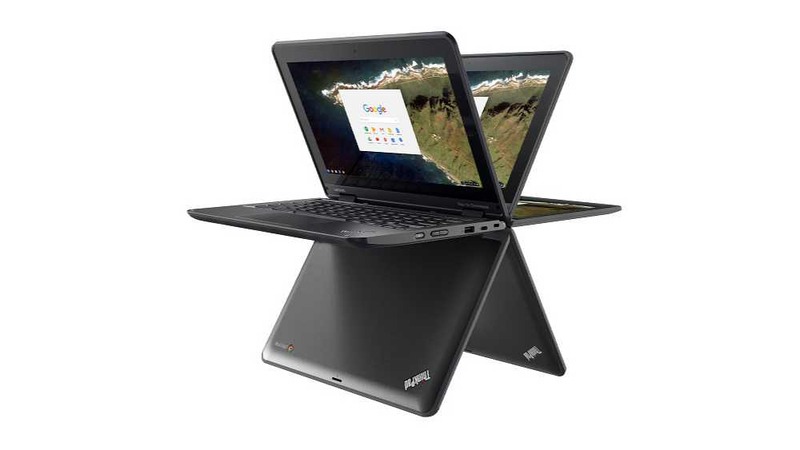 Like the ThinkPad 11e Chromebook, the N23 is also available in traditional clamshell and Yoga form factors. 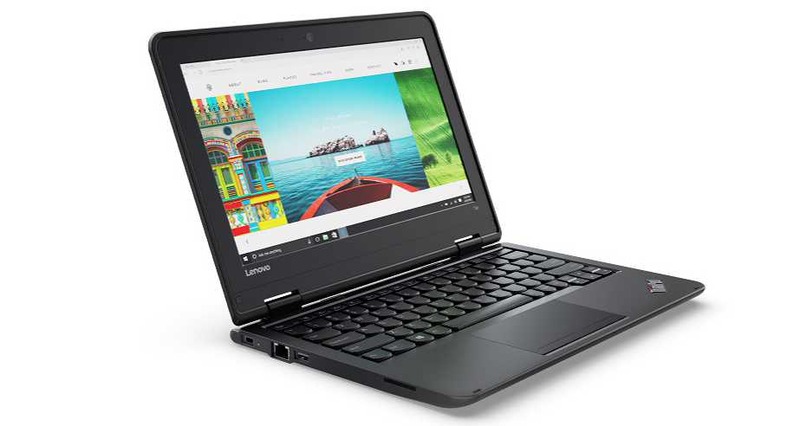 In addition, the N23 Yoga version is the first Lenovo Chromebook equipped with an ARM-based processor, optimized to run the Google Play Store apps. Lenovo N24 also announced with Windows 10 and newly added pen support. Enhancing the existing N series with Windows 10 portfolio, that includes the N22 clamshell and N23 multimode notebooks, the new Lenovo N24 is a joint cooperation with Microsoft for the education segment. The N24 convertible notebook will offer an 11.6-inch IPS display with 360-degree screen rotation giving multimode capability, 10-point touch and an Active Pen with pen holder. ThinkPad 11e with Windows 10 will be available from February 2017, starting at $519 and $419 for education customers. ThinkPad 11e Yoga with Windows 10 will be available from February 2017, starting at $599 and $499 For education customers. Lenovo N24 with Windows 10 is expected to be available mid-2017. ThinkPad 11e Chromebook will be available from May 2017, starting at $369. ThinkPad 11e Yoga Chromebook will be available from May 2017, starting at $449. Lenovo N23 Chromebook will be available from February 2017, starting at $199. Lenovo N23 Yoga Chromebook will be available from April 2017, starting at $279.